Y.A. Tittle Insurance Services is personal insurance customized to fit your lifestyle by experience professionals. Personal Insurance customized to fit your lifestyle by experienced professionals. Does your insurance carrier provide what you need if you suffer a loss? Does your policy take advantage of optional higher deductibles? Are your valuable items covered correctly? Y.A. 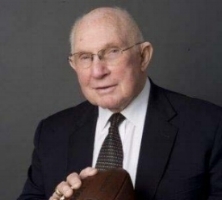 Tittle has been in the insurance business for over 50 years following his Hall of Fame football career. Y.A. started in insurance going door-to-door selling fire policies. We can help you find the right coverage today!